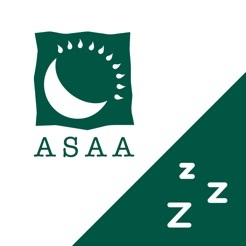 The SleepHealth study is being conducted by the American Sleep Apnea Association, a 25-year-old and patient-led non-profit and researchers at the University of California, San Diego. 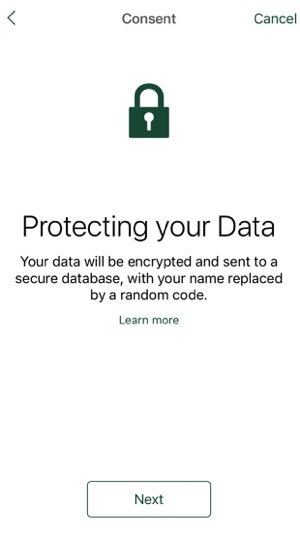 The app and study was designed and funded through the contributions of a small all-patient team of scientists, physicians, advocates and technology experts dedicated to health and data discovery in order to accelerate patient-centered and citizen research related to heart disease, hypertension, obesity, cancer, COPD, depression, Alzheimer's, motor-vehicle crashes and reduced quality of life among others. 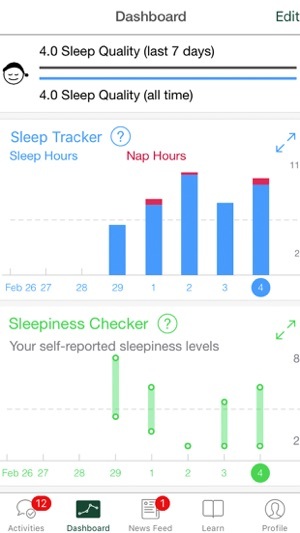 The SleepHealth app is also a personalized tool that helps you gain greater insight into your sleep habits and sleep issues, learn how sleep is associated with other conditions you may have, and take charge of your health. You can keep track of your daily activity, sleep habits and daytime alertness in order better understand how your sleep impacts your health, safety, productivity and well-being. 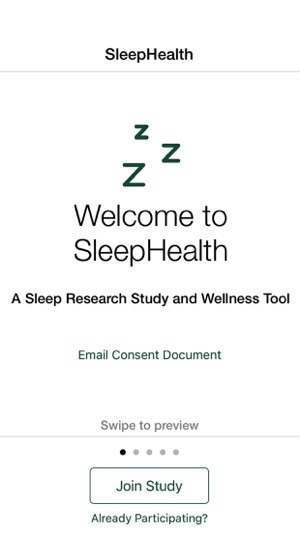 We want anyone that sleeps -- good or not -- to use the app and contribute to the study over years. This study is unique in that it allows participants to be equal partners in both the monitoring of their symptoms and impact of sleep loss, as well as helping to direct future research through participating in our community forum at www.sleeptember.org or engaging with the SleepHealth Blog right from your phone. Join our research effort and start contributing today! The app can help you measure your activity through the sensors in your iPhone, iPhone touch or the Apple Watch, or any wearable activity device linked to HealthKit. By helping you track your activity levels and giving you feedback, we aim to help people be more informed and empowered in improving their health. Get insights into your sleep health, get support in your journey, and give us your ideas and help direct future research. 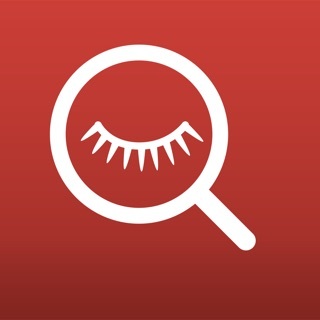 Install the app today and learn about your sleep, help research, and join the global effort to better understand sleep! Thank you very much for your feedback and positive review. 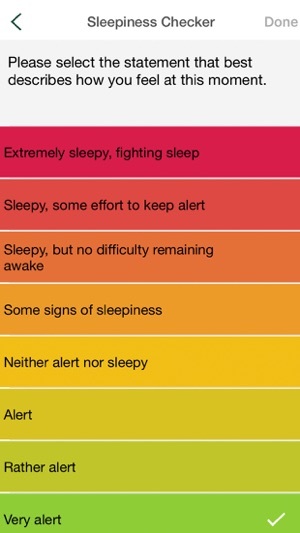 We agree that sleep monitoring functionality would be a great feature for the app and hope that we can bring this and other features to future versions. Stay tuned! The app is a great attempt. But needs work. I would love to see the app to send a notification when awake or when about to sleep. The diary field needs the option to allow the text to be autocorrected and aided by the system keyboard options. Right now it requires too much work since there is no way to enter text in a fast, natural way. Thank you for your feedback. 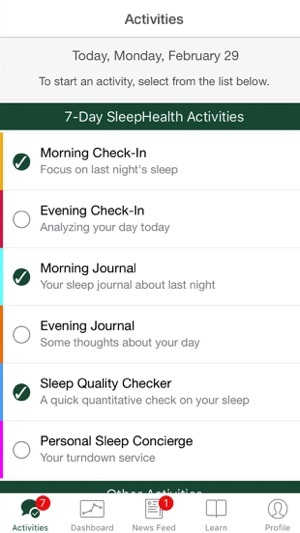 We understand that SleepHealth can always be better, and will work to address the text entry portions of the app in future versions. We agree that Apple Watch optimization and SiriKit integration would be great to have, and will definitely consider incorporating these features in future versions as well. Keep in mind, we are always working to improve the app, and we hope you will continue to watch for updates and grow with us.